As with other areas of the face, the chin and jaw experience unique age-related changes. Gravity has a significant impact on the lower face, and is responsible for wrinkles, sagging and prominent jowls. Stubborn fat deposits under the chin may develop or worsen with age as well, leading to a telltale double chin. Fortunately, there are a variety of safe, non-invasive and minimally-invasive treatments that can improve the appearance of the jaw, chin and the face as a whole. Aging and genetics can cause excess fat tends to accumulate under the chin. This fat is often resistant to weight-loss efforts, and a double chin can worsen over time due to the weakening of muscles and other tissues in this area. A new injectable treatment known as Kybella safely, effectively and permanently eliminates unwanted fat under the chin over a series of monthly treatments. Sagging skin and loss of facial fat can lead to the appearance of jowls over time. This excess skin on the bottom of the cheeks changes the shape of the face and contributes to an aged appearance. A poorly defined jawline can affect the overall appearance of the face. When combined with a receding chin, a lack of definition or protrusion in the lower face can make the face appear out of balance and place disproportionate emphasis on the nose. There are many factors that affect the appearance of the chin and jaw. Genetics play a large role in the appearance of these areas, and aging can take a toll. There are a variety of procedures and treatments that can improve these concerns of the lower face, and rejuvenate the overall appearance of the face. Aging has an impact on the appearance of the entire face, and the chin and jaw are no exception. Gravity and the loss of skin elasticity cause sagging of the skin and underlying tissues, often causing cheek drooping that creates the appearance of jowls. Poor lifestyle choices contribute to aging and other changes in the jaw and chin area. Repeated weight fluctuations can have a negative effect on skin elasticity, and cause fat to accumulate under the chin. There’s a genetic component to sagging jowls or a double chin, and these traits are often inherited. Accidents and traumatic events can result in a fracture, displaced, or misshapen jaw and asymmetries. In most cases, a more balanced appearance can be restored with surgical procedures or non-invasive treatments. From surgical procedures to non-invasive treatments, there are several options for correcting cosmetic concerns in the lower face. Surgery following an accident or trauma will likely be performed by an orthognathic or maxillofacial surgeon before a plastic surgeon may be called on to enhance appearance after function is addressed. Imperfections of a cosmetic nature can be improved with non-invasive treatments. Dr. Steven Fagien uses an array of treatments including injectable fillers, Kybella, lasers, and BOTOX to correct these areas. In addition to reconstructive surgery, there are several cosmetic surgical procedures that improve the appearance of the jaw and chin area. Liposuction is used to eliminate stubborn fat, while a necklift can improve sagging skin and other age-related issues and a chin implant may be placed to augment the chin and jawline. However, all surgery comes along with risks and recovery, and non-surgical treatments may offer comparable results without the potential downsides. The first-ever injectable treatment for improving a double chin, Kybella permanently reduces stubborn fat over a series of monthly treatments. Kybella contains deoxycholic acid, a naturally-occurring molecule in the body that destroys fat cells. Once destroyed, those cells can no longer store or accumulate fat. Repeated treatments can be used to achieve significant reduction of a double chin, and in turn improvement for the profile and overall facial appearance. Injectable fillers are effective for adding definition to the chin and jawline. Dr. Steven Fagien uses dermal fillers such as Juvéderm, Juvederm Voluma, Restylane Lyft, and Radiesse to provide instant results and long lasting improvement. These fillers are ideal for reducing the appearance of jowls by restoring lost volume and smoothing the transition from the lower cheek to the chin area. Dr. Fagien has extensive expertise using dermal fillers to enhance the lower face, chin and jawline. Laser skin resurfacing is commonly performed in conjunction with injectable treatments like Kybella and Radiesse to provide more comprehensive improvement and anti-aging results. These procedures remove the uppermost layers of skin to reveal fresh, younger-looking skin, and promote the skin’s natural collagen production. After laser resurfacing, the skin will be visibly smoother and tighter, and continues to improve over several months following treatment. If you’re considering treatments to improve the appearance of the chin and jaw area, the next step is finding a physician with the expertise and artistic eye necessary for optimal results. Dr. Steven Fagien is one of the world’s foremost oculoplastic surgeons in the United States and he has built his reputation on challenging traditional techniques and developing cutting-edge advances for a variety of procedures. 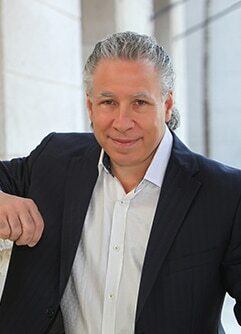 In addition to participating in many of the clinical studies that led to the FDA approval of various injectables, Dr. Fagien has authored over 300 publications, penned his own bestselling textbook on Cosmetic Oculoplastic Surgery, and has given more than 1,000 lectures about his techniques to surgeons around the globe. To learn more about treatments to improve the chin and jaw, schedule a consultation with Dr. Steven Fagien at 561.393.9898.